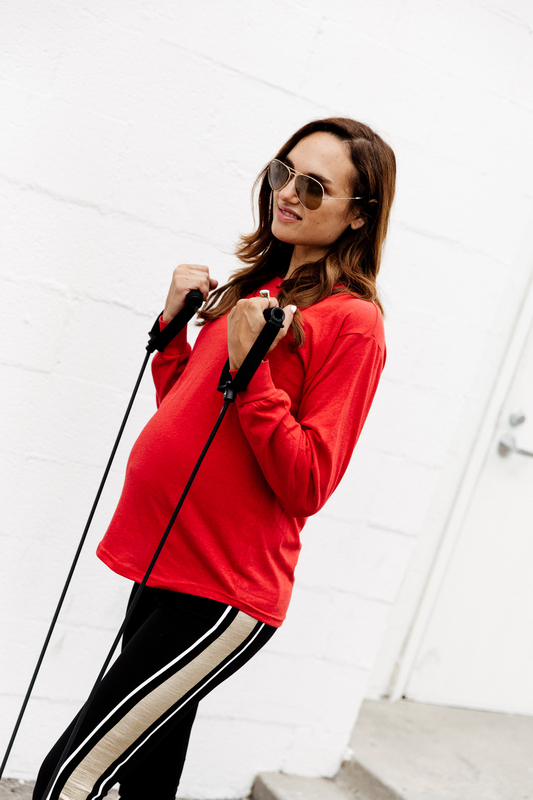 I’ve been wanting a low impact workout for pregnancy and I think I found it. Hubby some of you may know is a fitness fanatic, so I asked his professional opinion and this was it. I don’t want to have to have a ton of fitness to do after baby, so I’m making attempts to stay active during this pregnancy. I’m actually using this fitness ring as I write this blog post!! I figured its an under $20 Amazon impulse buy that actually works. Read on! Keeping up a fitness routine is hard no matter what phase of life I’m in. Whether it was in college balancing the books with free time or motherhood and the lack of any solid alone time. I must say though, having some kind of fitness habits while pregnant has got to be the hardest. But, not all hope is lost because now that I’m on my fifth pregnancy, I’ve learned a few things. First, I carry totally different between boys and girls. I held a lot more water with my girls and staying motivated was tough. With the boys (my current pregnancy is a boy), my belly literally just popped out and everything else has stayed pretty much normal, which makes wanting to move a lot easier. 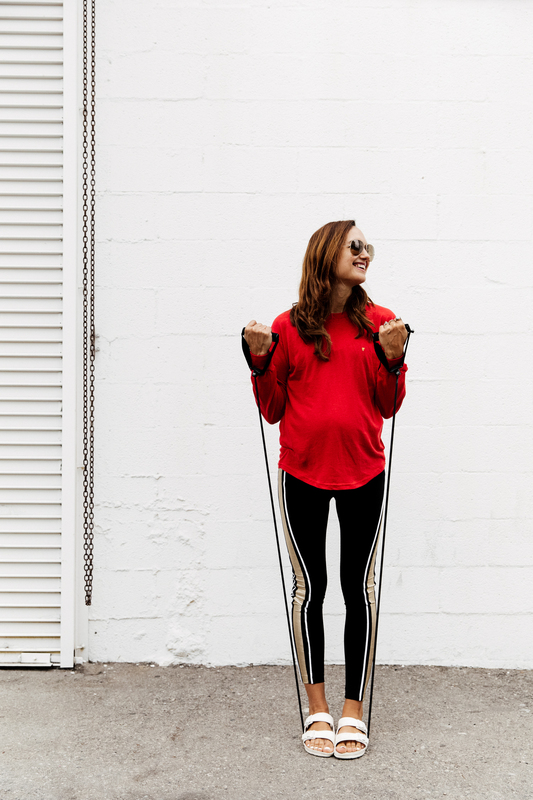 As far as actual exercise and staying active goes, here are some tips for maintaining muscle and cardio endurance while in your third trimester. If you don’t have resistance bands, I highly recommend them. They are versatile for all body parts—I can do arm curls, tricep extensions, some shoulder lifts, back flies, etc., all with only the bands. The resistance is just enough to give me a slight burn, but not worry about weight, throwing off my balance, pinching a nerve or causing contractions. For my legs, I use a ring. It’s great for the inner thighs and even strengthens your birthing muscles. Knowing this can help come birth day keeps me motivated while I tone my legs. For cardio, I stick to walking. Any kind of bouncing makes me nervous. I know some woman run marathons up to nine months, but not me. I’d rather just keep my heart rate up to a healthy pace and then take a rest with a nice glass of water. Speaking of water—staying hydrated is essential to a healthy pregnancy. Make sure to carry a water bottle with you everywhere you go and don’t let the kids drink all of it. Anyone else have any fitness tips for pregnancy? I’d love to hear them.